On one hand, reactive programming techniques do make life easier. Instead of worrying about bi-directional data flow and trying to determine what updated what, reactive data flows in one direction. Developers will say this makes their code "easier to reason about". I can say first hand that there's truth to this. But that's not the whole story. 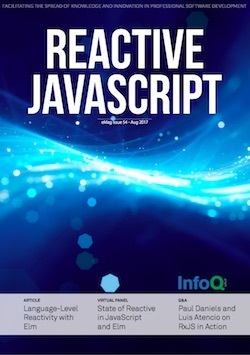 The SAM Pattern: Lessons Learned Building Functional Reactive Front-End Architectures - Modern User Experience requires an architecture that is able to continuously "react" not just to user inputs, but also to its broader environment. In this article, Jean-Jacques Dubray and Gunar C. Gessner talk about the lessons learned implementing the SAM pattern with different frameworks and libraries.